Alex and our two carts worth of supplies. 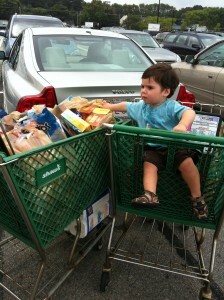 Guilty of piling my 2 kids in the car, filling 2 grocery carts, and spending $280 on emergency supplies. In case you’re living under a rock (which is probably the safest place right about now), Hurricane Irene is about to unleash her fury in my backyard. Torrential downpours, 75-mile-per-hour winds, widespread power outages, and fallen trees are in the dire forecast. Basically, we’re preparing for pure mayhem. There's no milk at my supermarket! Water? Only if you’re quick enough to push your way through the mob fighting for it like playground bullies in a schoolyard. (Thankfully, I’ve still got game). Batteries? Sure, if you stumble on a special Hurricane Irene display that was just re-stocked. Otherwise, you have to recharge somewhere else. Candles? Perhaps if you visit a store or two…or three. It’s crazier here than the craziest uncle you have in your family. Insane is more like it. And the storm hasn’t even hit yet. If you live in the Northeast, tie everything up (objects, I am talking about outdoor objects), brave the freaks duking it out at the grocery store, and prepare yourself for a true state of emergency. Try to make up with your husband if he’s on your nerves (throwing him out the window during the next 24-hours would really hurt). And cherish the simple comforts of home that will soon be swept away by Insane Irene–power, water, Facebook. Oh, and stock up on Mommyjuice. You’re going to need it. 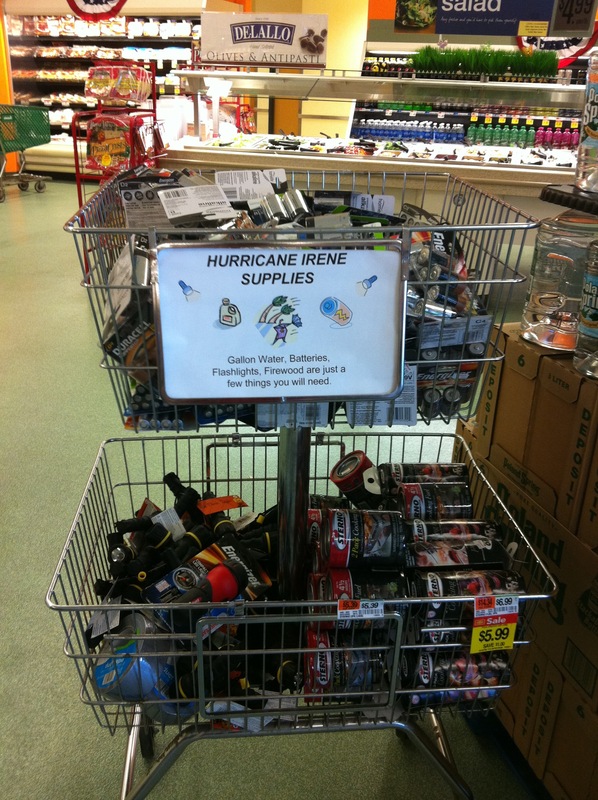 This entry was posted in Hurricane Irene, Uncategorized, weather. Bookmark the permalink. 5 Responses to Come on, Irene! I learned from you! 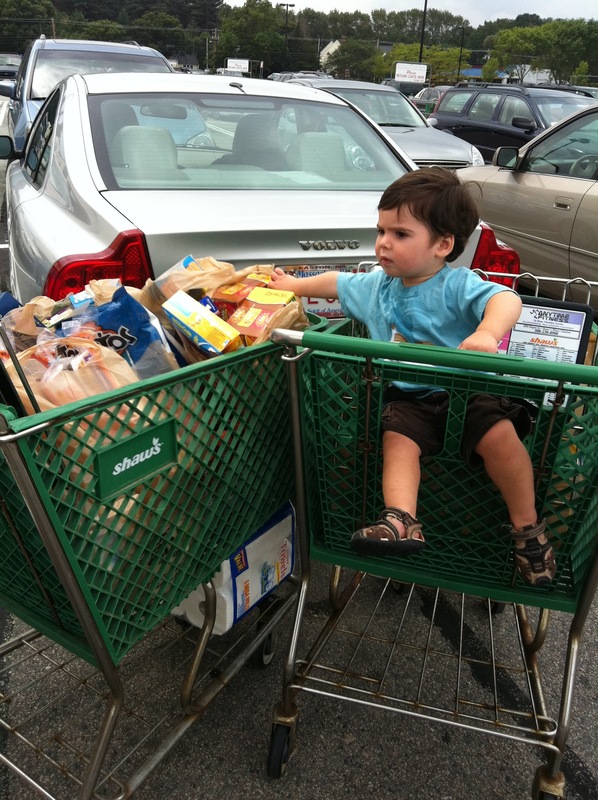 You always brave the elements to stock up… Even though your regular pantry can feed a small army every single day. I seriously spent $280 at the grocery store, and then more on candles at CVS. Pathetic. I did the same thing. The storm may not be as bad as they are predicting, but what if it is? I bought stuff I never buy just to have it and spent way too much money. 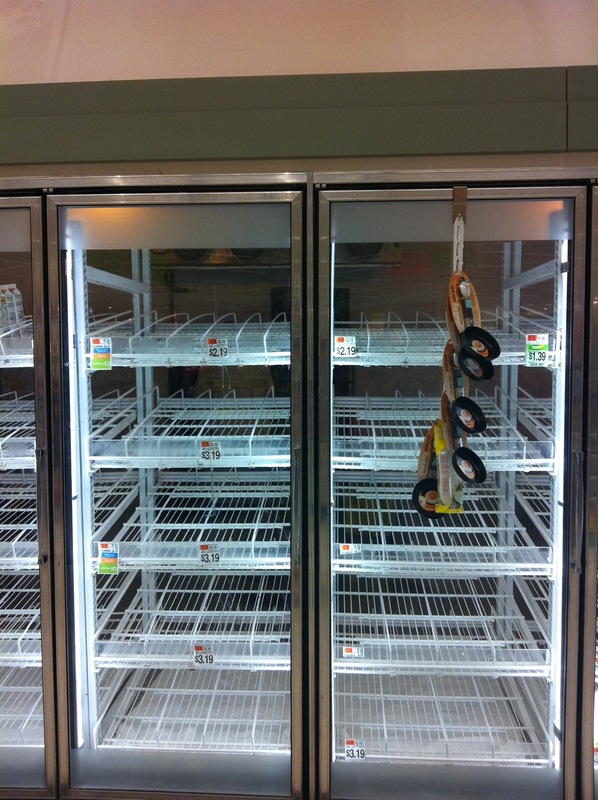 I agree the grocery stores win out during storms! Always better to be safe than sorry. And what better time to break out some snacks you never buy than during a hurricane? Yum! Thankfully, we’ve got two little ones who have toys that constantly need every kind of battery available to mankind, so we always have plenty of those (we buy them at BJs – and should own stock in duracell!). I also have a thing for candles and oil lamps, so we never want for those in a storm. 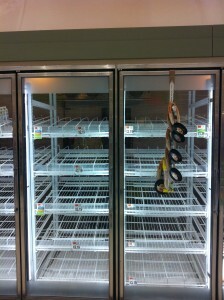 The only stuff we stocked up on was ice, water, milk, cream, some frozen chicken to cook on the grill, and foods that wouldn’t spoil if we lost power for more than a couple of days. We have three large coolers that we’ve been able to use to store virtually everything in our fridge in should the need arise, so we were pretty well prepared. Little did I know we would only lose power for 11 hours, but would be without cable/internet/phone for three days! OH THE HORROR!! !